Soaking rain and the first significant storm of the winter season are greeting the first day of 2016 here in Jerusalem. There's a chance of snow tonight. Understandably, such are the matters on Israeli minds as people hunker down for an indoor Shabbat. Meanwhile in the news media, at least for those watching for such things, there are indications of approaching turbulence of a different sort. 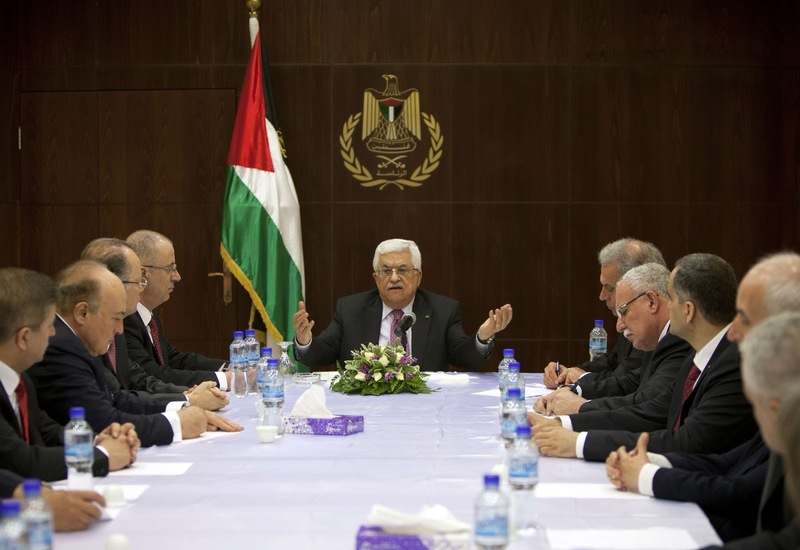 Voices within the leadership of Fatah are currently calling for the resumption of 'suicide bombing' attacks. For the moment, Fatah's view is to wait before acting - in the words of the JPost report, to "see which way the wind is blowing". Fatah, in case it's forgotten, is headed by the president of the Palestinian Authority, Mahmoud Abbas. The current street violence, the Arab-on-Israeli attacks carried out daily for the past three months, is "sooner or later" going to be escalated . Fatah sees itself as being "forced" to "join the current uprising". Those same insiders, realizing that the young people who are at the bleeding edge of the current violence directed at Israelis, see an impending collapse of the PA establishment and its power. This is, naturally, Israel's fault. "Lone wolf attacks" will proliferate and this will be "very difficult" to control. It's foreseeable that internal rivalries among the numerous Palestinian Arab factions and their competing with one other for popular support will produce bad outcomes. Israel's fault, again. We bless every drop of blood that has been spilled for Jerusalem, which is clean and pure blood, blood spilled for Allah, Allah willing. Every martyr (shahid) will reach paradise, and everyone wounded will be rewarded by Allah... The Al-Aqsa [Mosque] is ours and they [the Jews, naturally] have no right to defile it with their filthy feet. We will not allow them to, and we will do everything in our power to protect Jerusalem." "01-Dec-15: PA president: When the subject is terror, double-talk and blatant hypocrisy work"
They unambiguously support violent, armed violence against the Israelis: 60% support it today, up from 57% in the PSR September 2015 poll. Fully two-thirds of all Palestinian Arabs say they are in favour of stabbing attacks on Israelis. About the same proportion are of the view that Abbas, elected in January 2005 to a four-year term as PA president, holding on tenaciously to his power for the past eleven years and with no election on the horizon, must resign. This doesn't happen because, as the poll shows, if presidential elections were held today, the Hamas candidate would defeat Abbas comprehensively. Another sign of very bad weather ahead: Hamas, according to Ynet yesterday (Thursday), has ordered its cells in the West Bank to launch "suicide" bombings against Israeli targets, and will target senior officials in the Israeli political and defence establishments. It is specifically targeting victims inside the so-called Green Line, the 1947 cease-fire line that is mischievously referred to often in the news media as the 1967 borders. Hamas says it has "sleeper" cells in place and is now activating them. One such cell was the subject of a post here ["24-Dec-15: Another terror outrage narrowly averted - and Shalit Deal releasees are again at the heart of the darkness"] last week. Its members were discovered, interrogated and arrested in a joint Shin Bet/IDF operation in the Jerusalem neighbourhood of Abu Dis, along with a sophisticated, well-stocked explosives lab that was preparing bombs for use against Israelis. Several of the terrorists convicted of their involvement in the massacre that took our daughter's life in August 2001 are included in the PA payments plan. Berger's revelations, and the PA spreadsheets, received virtually no mainstream news coverage when they were revealed in October. Now, with much colder air and many dead on all sides, we're likely to to reap the harvest of that willful neglect.